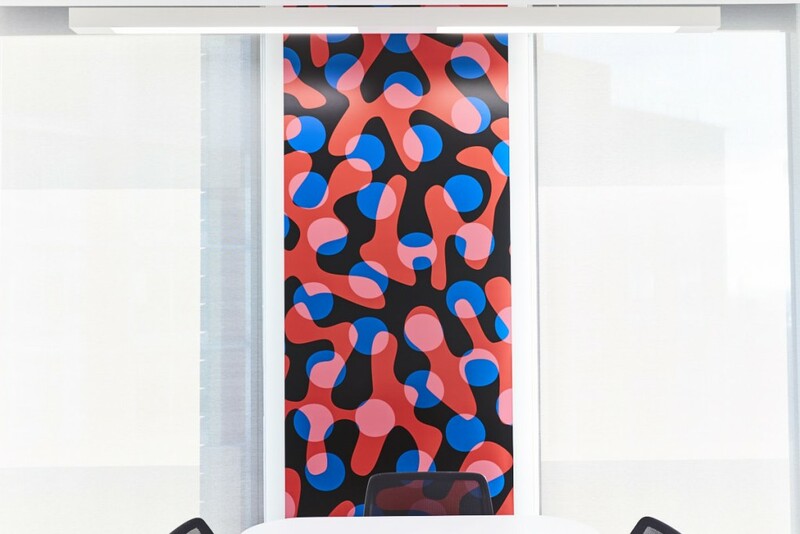 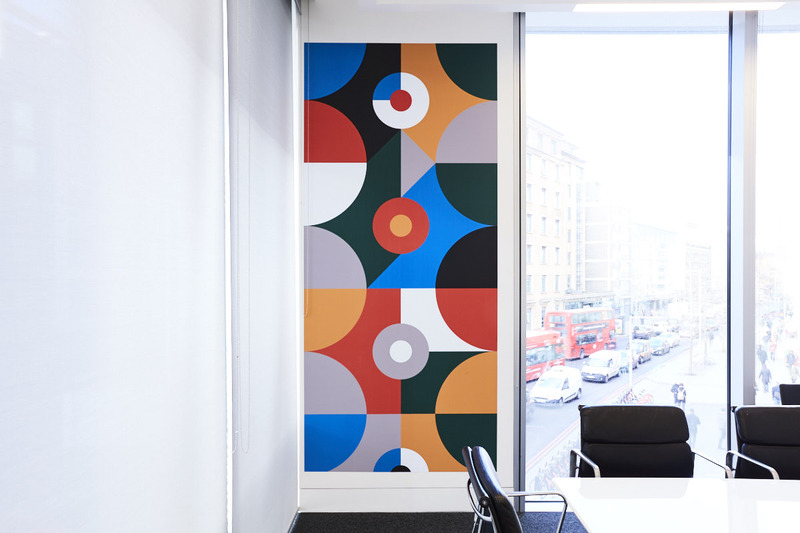 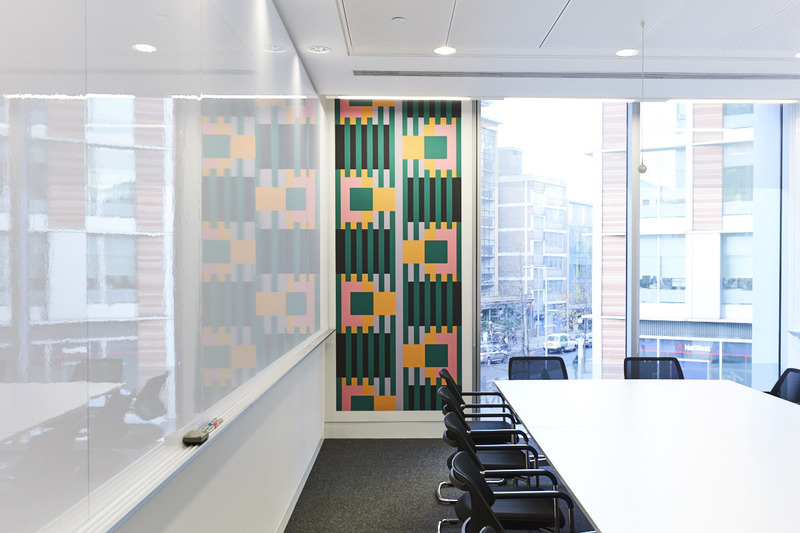 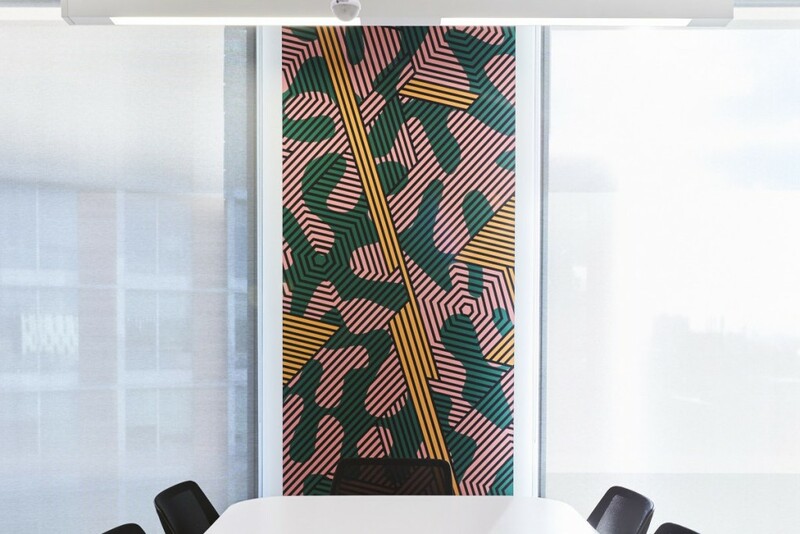 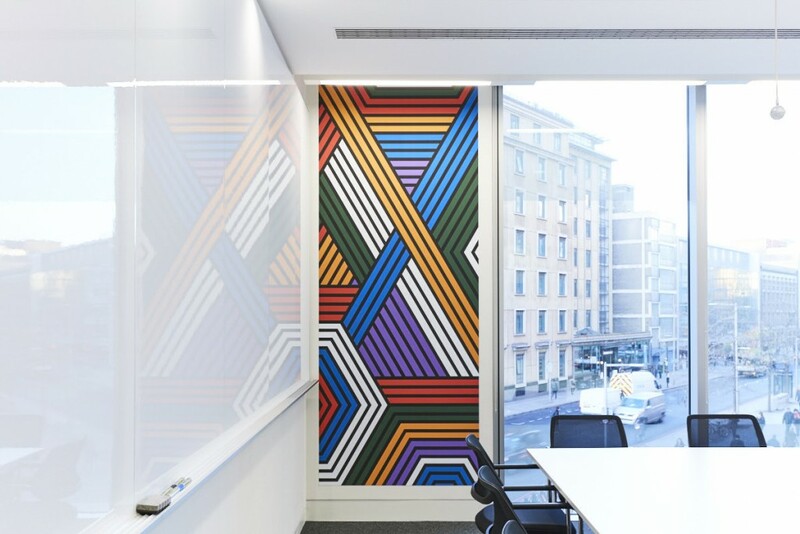 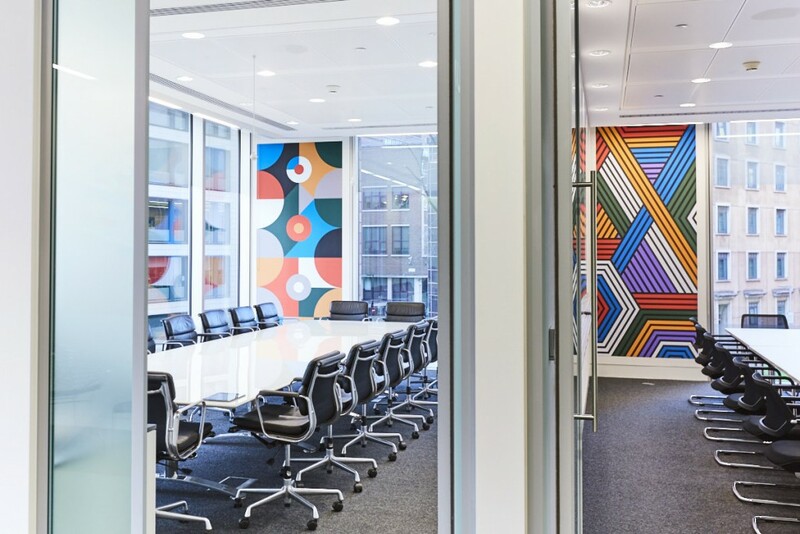 Gabriella Marcella is one of five artists enlisted to decorate an ad agency hub on London’s Bankside, which hosts offices for creative agencies including AMV BBDO, TBWA, Proximity and Redwood. 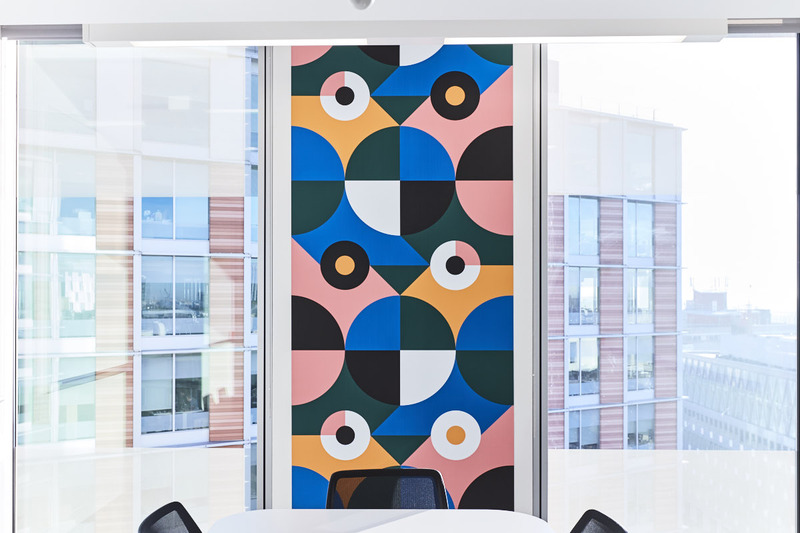 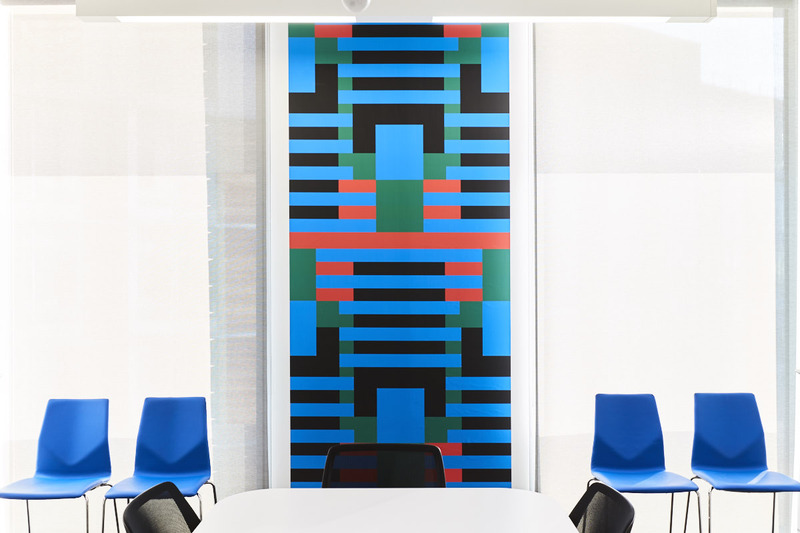 Gabriella and the other commissioned artists – Peter Judson, Siggi Eggertsson, Agostino Iacurci and Hvass & Hannibal – have adorned the interior with artworks inspired by their surroundings. Kirstie Johnstone, creative production partner at AMV, coordinated the commissioning, which came from all the agencies in the building. 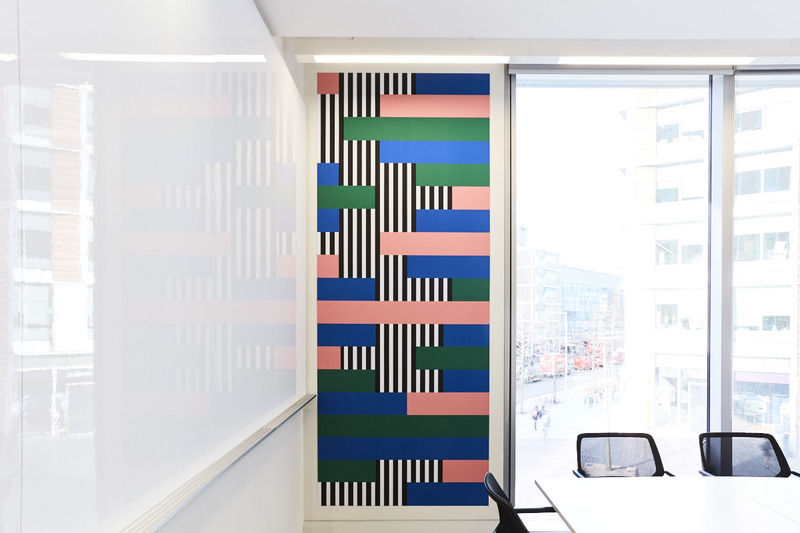 There are 37 artworks in total, which were installed over three weekends by Signbox.